Eskimo Brethren: Yo Nashville: Magnolia Sons - How Can I Get Over You? Yo Nashville: Magnolia Sons - How Can I Get Over You? Mix one part hot sun, one part equally-hot asphalt and one part unlimited beer and you have the Beer Fest in the Gulch. 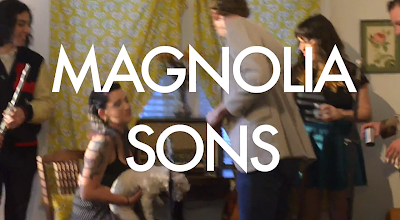 Throw in the upbeat soul of the consistently-stellar Magnolia Sons and you really have a sweaty mess of a party. How do they wear those suits? Some questions may never be answered, but at least we can enjoy their soul stylings in the video for "How Can I Get Over You?" Yo Nashville is a segment in which we highlight talent from right here in Music City U.S.A.